NYC blogazine for painting, painting, and more painting. Published continuously since 2007. 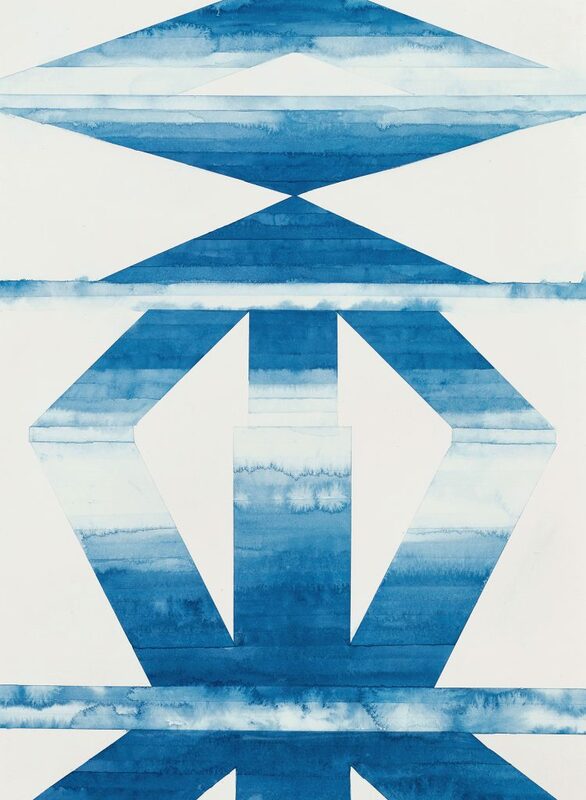 Contributed by Lilly Hern-Fondation / In her new paintings and works on paper, Lindsay Walt works with geometric structures that appear as though they have materialized out of thin air. 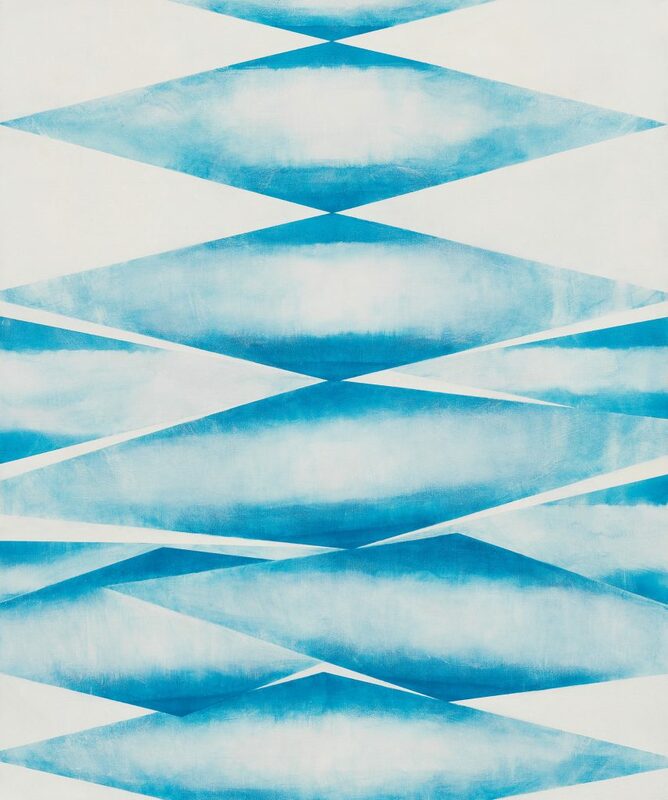 In compositions that balance atmosphere and striation, repetition and variation, structured order and dissolution, she moves towards a manipulated immateriality rendered in blue. 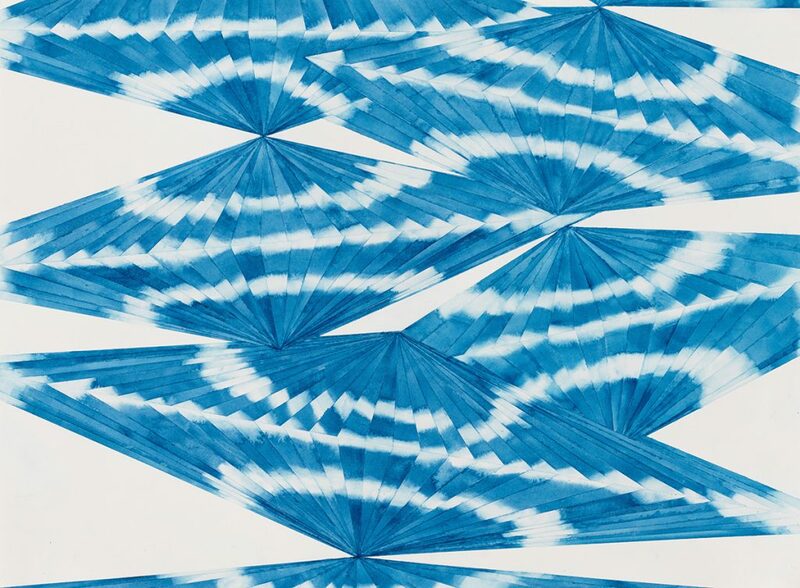 In her 2017 series of watercolors titled Strata, she sequentially transforms an eight-sided star until midway through the series, inspired by Kota reliquaries, totemic apparitions appear hovering between solidity and weightlessness. In her current series Borrowed Scenery she references Chinese gardens that are designed so that a view of them in their entirety is impossible. Her skillful material exploration is juxtaposed with calm and logical form, revealing a highly structured world that is ethereal and unknowable. These vistas act as windows: they are simultaneously the thing itself and the portal through which one can observe the world beyond. Lindsay and I sat down for a conversation on the occasion of her solo exhibition, Balancing Acts, on view at High Noon Gallery through October 7. Lilly Hern-Fondation: I’d like to start with an idea from your catalogue essay by Jack Stephens — he writes about the inability “to see the space in space” which ties nicely into the idea of Chinese gardens in the Borrowed Scenery series. Can you expand on this idea? Lindsay Walt: I wish I had a garden, but I don’t so when I travel I like to visit botanic gardens. Since most are fairly old it’s like a snapshot of a bygone landscape. This past summer, I visited Innisfree Garden in Millbrook which was planted in the 20s. It’s a wonderfully idiosyncratic garden that’s both structured and wild. The design is based on Chinese “cup gardens” which incorporate small gardens or vignettes so there’s no perfect fixed view when you’re wandering around. I thought it was a good metaphor for my new paintings. Of course, it’s also a double entendre because that’s what we do as artists – borrow scenery. LHF: I’m interested in the process of addition and erasure in your work, particularly in the watercolors where the paint is applied and then wiped away. It reminds me of fossils that preserve the past through trace impressions formed over time. Can you discuss these gestures and the difference between working in watercolor and oil? LW: I like your geological read. In the Strataseries, I layer repeating blue bands on top of one another like the striations of agate. Paper is so absorbent that you can lay down a path of water and watercolor will follow. You can puddle, flare or disperse it with water or remove everything by wiping it down – kind of like a magic trick. I’m impatient and hate waiting for oil to dry, but I’ve come to appreciate the more deliberate process involved in building a painting. I started out as a sculptor, so how I make something and how materials behave is part of my vocabulary. Since I want the paintings to have a light and effortless feel I end up removing as much paint as I put on so it’s a slow build of incremental layers. In the end, I think the history of the touch is embedded in the surface of the painting. LHF: This brings me to the idea of atmosphere in your work which also reminds me of a puff of air, or a breath. There’s a kind of ethereality or unspoken spirituality that I don’t think can be fully articulated because that’s where the power lies, in its ability to suggest an unknown space. Do you consciously address these ideas in your work? LW:It’s much easier to discuss process or materials than spirituality. I think I’ll answer by saying that in my painting I use concentrated light and color to describe infinite space as a way of evoking inner contemplation. Perceptually the work envelopes you in a charged realm where meaning is not fixed. An Air Force Colonel, who flew for forty years, recently told me the view out the cockpit was the view I painted. That was something to hear. 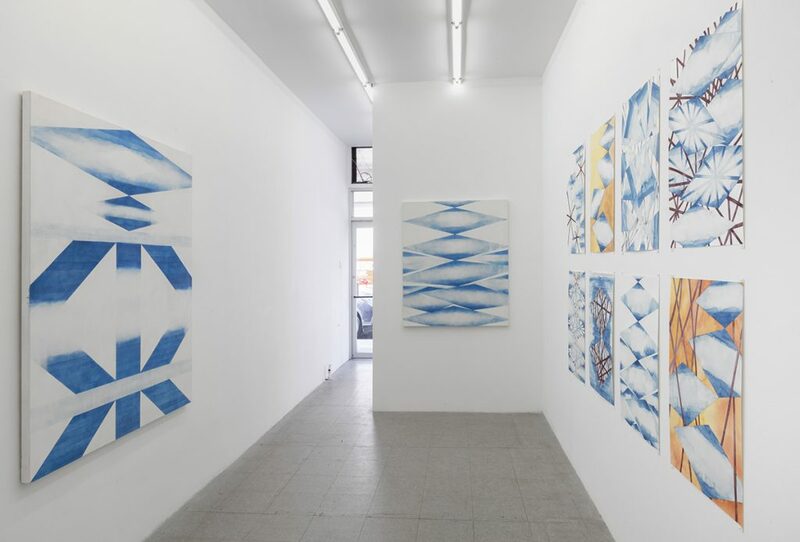 “Lindsay Walt: Balancing Acts,” High Noon Gallery, LES, New York, NY. Through October 7, 2018. Lindsay Walt received her BFA from Rhode Island School of Design and an MFA from The School of the Art Institute of Chicago. Additionally, she attended the Skowhegan School of Painting and Sculpture and was awarded a MacDowell Fellowship. Her paintings have been extensively exhibited in the United States and, most recently, in Ireland. Among the many prominent private and public collections in which her work is included is the U.S. Embassy in Djibouti, (ART in Embassies), Aldrich Museum of Contemporary Art, Amerada Hess, Chase Manhattan Bank, Long Island Jewish Children’s Hospital, New York Public Library, Progressive Insurance Company, Prudential Insurance Company, Skowhegan School of Painting and Sculpture and Yale University of Art. Walt’s studio is located in the Brooklyn Navy Yard. Lilly Hern-Fondation is a Brooklyn-based artist and writer who received her BFA+BA from the University of Washington, Seattle, and her MFA from The School of the Art Institute of Chicago. She works at CUE Art Foundation in Manhattan. Two Coats of Paint is licensed under a Creative Commons Attribution – Noncommercial-No Derivative Works 3.0 United States License. To use content beyond the scope of this license, permission is required. Art and Film: Aronofsky’s Bosch-esque mother! When do artists leave the country? Jacob Kassay: Familiarity superseding reflection? What’s so strange at Fredericks & Freiser’s “Strange Abstraction”? Is the east end of Connecticut the new Hamptons? Art and Film: Revenge of the casualists? Roberta Smith on "current painting tactics"
Mary Addison Hackett’s final Miami round-up. Chicago’s Midway Art Fair: A model for fostering art communities? SOLOWAY Bazaar: One day only! 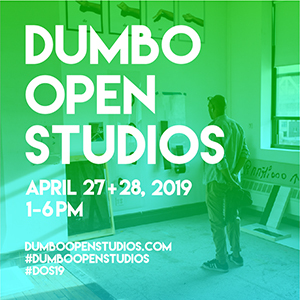 How many artists live and/or work in Brooklyn? Quick study: Abstract portraits, Instagram, thoughtful review of the show at SEASON, QR Codes in the London subway. Part I: Where is Joshua Abelow? NY Art Book Fair: Let’s make books! QR Codes or abstract paintings? Sean Scully: If you’re plotting art, and trying to make something to get something, you’re not in a state of creative innocence. You’re not making art. You’re doing something else. Casting call for second season of "Work of Art"
Sargent’s seascapes: What was he thinking? Howard Hodgkin: Getting older is a sort of shorthand. There are a lot of things you know already. Recto or Verso: What kind of artist are you? Mike Myers is a painter…? Call for videos handmade by painters! Norbert Pragenberg’s question: What is my special idea? Who is Charline von Heyl? #class demonstrated the unequivocal power of social media…but now what? Paul Gauguin, not Vincent Van Gogh, cut off the ear! Are contemporary conceptual projects doomed to be misunderstood historical curiosities? 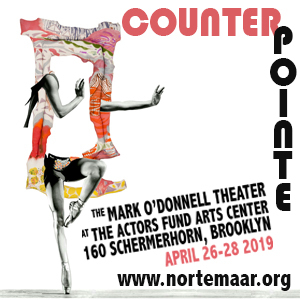 Congratulations to all the Pollock-Krasner Foundation grant recipients! 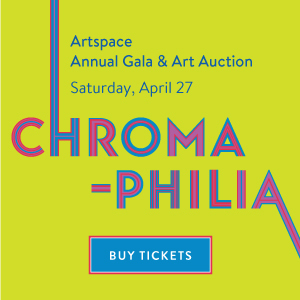 Smack Mellon relying on young painters for fundraising? Darren Waterston: What’s up with the sublime? Cindy Bernard: Can you hear me? Frannsen: Visual gibberish or fearless painting? Brooklyn Rail silent art auction: Buy this painting! Holland Cotter says weird can be cool but…. Jacob Lawrence: Painting as aesthetic object or historic narrative? So are they really Jackson Pollocks? Two Coats of Paint is licensed under a Creative Commons Attribution - Noncommercial - No Derivative Works 3.0 United States License. Contact Sharon Butler via email for permission to use content beyond the scope of this license.